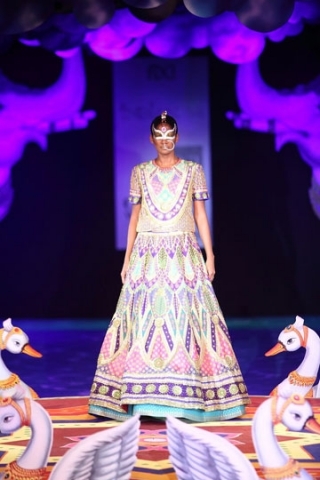 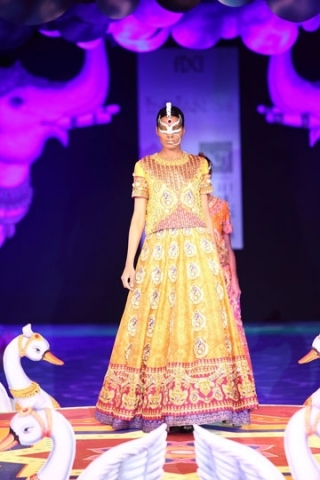 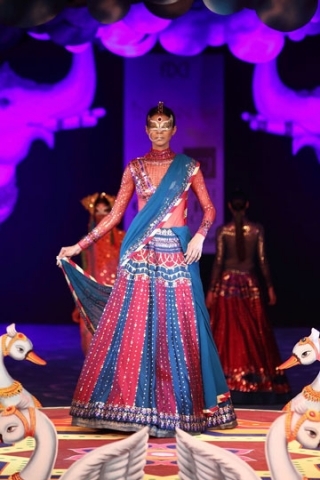 Manish Arora's first ever bridal collection uses quirky and colourful designs and patterns on A-line, panelled skirts. 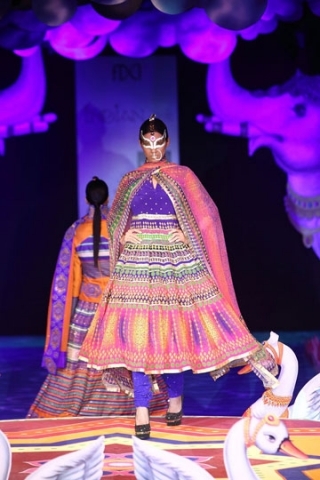 The high and heavy necklines give off a strong tribal inspiration - love the accessories as well! 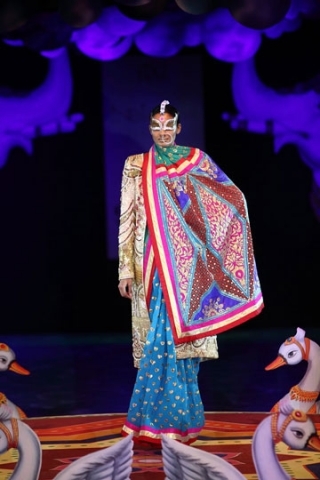 We find Manish Arora's work to be so inspiring! 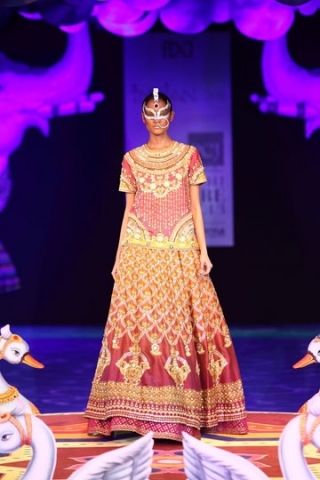 What a creative mind!